It is appropriate that the opening track on King Of Xhosa, is a hand drum invocation and an introduction in the Xhosa language of South Africa, as that is exactly where the origins and influences of this music came from. Drummer Jeff “Siege” Siegel and his quartet are augmented on this recording by Feya Faku, a South African native, on trumpet and flugelhorn, and the one who sets the character of the music. 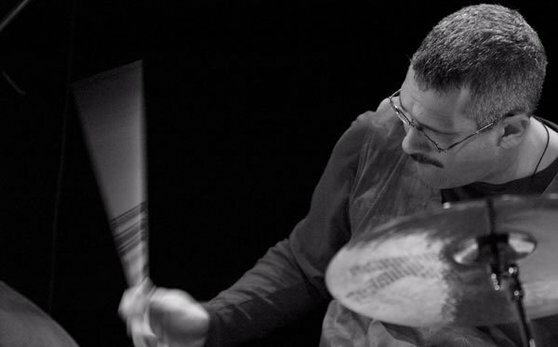 Siegel, an accomplished drummer, leader, and educator, was drawn to Faku’s unique sound at a Woodstock engagement, and went to South Africa on a mission to get Faku to come back to record an album. Faku earned his mastery of South African jazz by playing with legends as Bheki Mseleku, and Abdullah Ibrahim, so his credentials are impeccable, and are on full display here. Siegel’s quartet is anchored by bassist Rich Syracuse, with Erica Lindsay on tenor saxophone, and rounded out by pianist Francesca Tanksley. Veteran percussionist Fred Berryhill is a longtime associate of Siegel’s and is more than capable of combining the complex rhythms of Africa with straight ahead jazz as is the menu on this project. The compositions are well dispersed among the participants, led off by the pensive “Prayer,” from pianist Tanksley, a tribute to the power of merciful love. This song has the profundity found in the style of Abdullah Ibrahim, an extended foray into the calming effects of spirituality. Tanksley also penned “Life On The Rock,” a hard bop number where everyone gets to shine. The title track is obviously Siegel’s tribute to his guest, and goes through several tempo and rhythmic variations as Faku takes the initial solo in homage to his homeland. Senseless violence and its victims are examined on Siegel’s “Ballad Of The Innocent,” a poignant requiem depicted in an accurate solemn mood. “Courage,” is Faku’s contribution, and appreciation to his teachers, as is customary to show respect to mentors and elders. He demonstrates his jazz lineage on “Unsung,” and soft sophistication on “Inner Passion,” played in tandem with saxophonist Lindsey, who is brilliant throughout. Lindsey writes with cerebral leanings from the Coltrane inspired “Gotta Get To It;” to the highlight number “Call To Spirits,” where the solitary flugelhorn beckons the sax to join in the exploration process in a resonant call and response. On the other hand, her “Get Real,” falls into a playful funky groove, presenting her lighter side. The drums of “Umngqungqo,” are a fitting closure of the set, to go out the way they came in. The African influence on jazz is evident and well documented, but this record serves as a booster shot, to keep the music honest and sincere. Siegel’s quartet can certainly rely on its own merits and is loaded with talent; but he was adventurous enough to want to realize the music he heard in his head, and that he needed Faku to accomplish this production. An African visitor to America is a joyful celebration at the intersection of cultures that can be manifested through music, and we are all better for it.